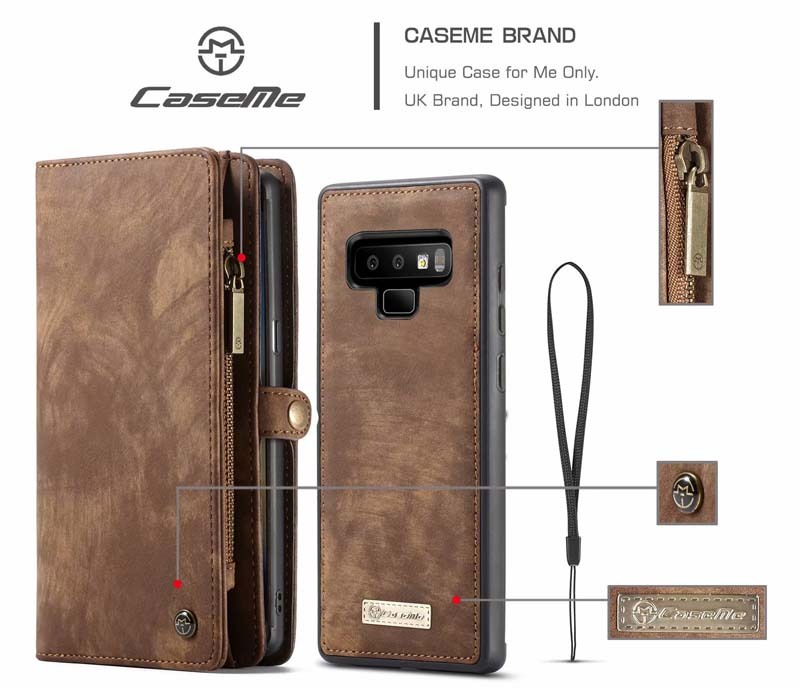 Free Shipping, Buy Genuine Original CaseMe Samsung Galaxy Note 9 Magnetic Detachable 2 in 1 Multi-functional Flip Folio Zipper Leather Wallet Case at Casemecase.com. 3) Precise cuttings allow easy access to all ports and functions. 4) Zipper design, make your money safe. Let the coin safer. Not lost. 5) Covers all four corners of your Galaxy Note 9 to prevent screen scratches. 6) Side Buckle Can be opened easily and give a full protection to you contacts. 11 credit cards including a ID Picture Slot and zipper storage. Multi-use design to meet customer’s meets in daily life, very convenient. 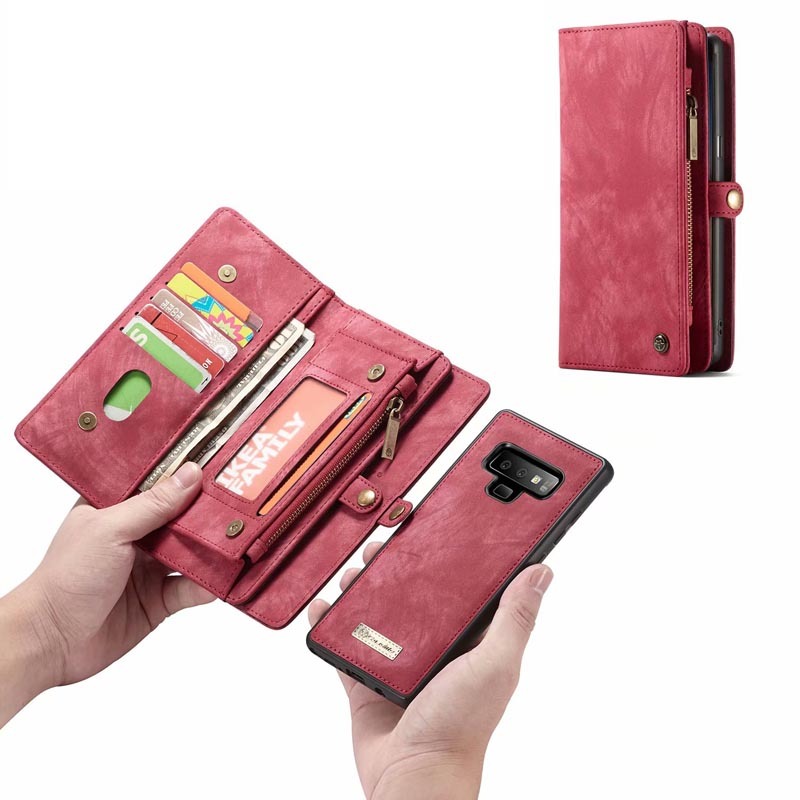 You can separate the back from wallet case, it is easy and convenient. 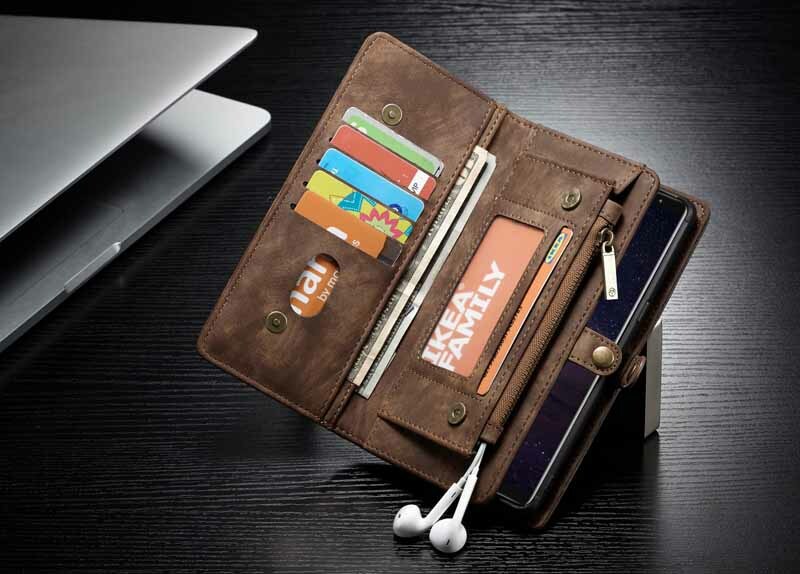 Even when you go shopping, you can carry the wallet case, without any other wallet bag. 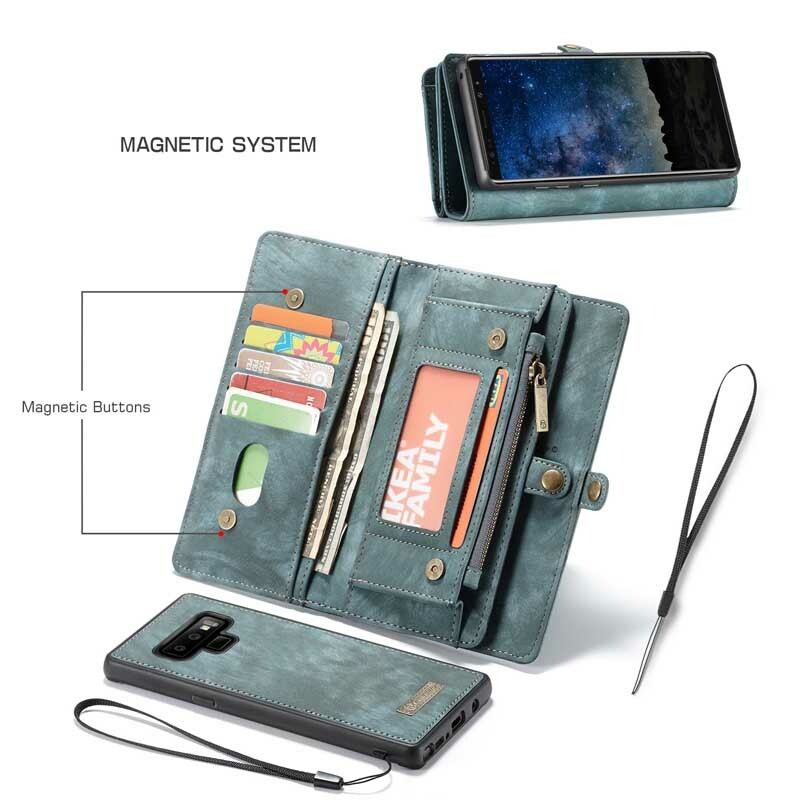 Magnetic clasp snaps firmly closed,provides 360° protection for you bevice to keep cards and cash inside safely. Business Fashion Noble Appearance. 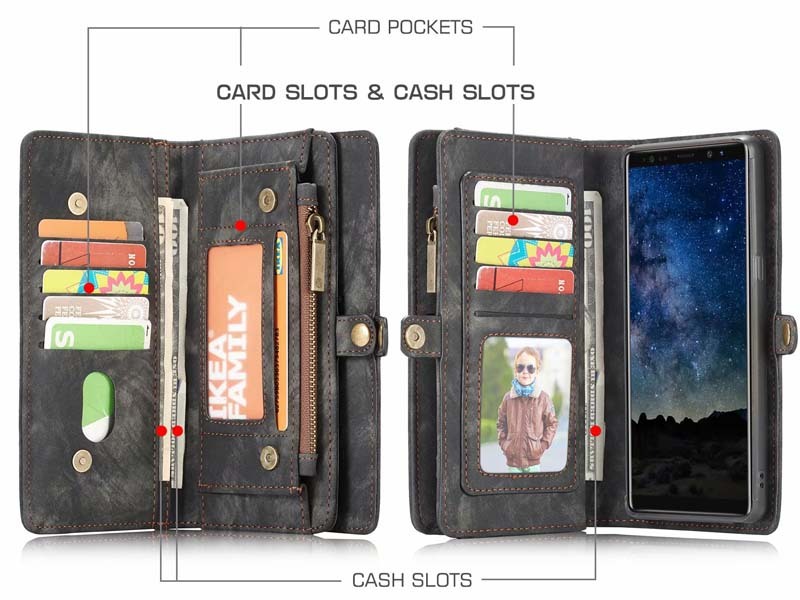 Included Card Slots and Money Pocket: Carry Around Your ID, Headphone, Credit and Debit cards,and Cash Without Having to Take Your Wallet With you. The delivery speed is very fast, I received the product today, but I don’t know if it applies to sasung galaxy note 9, I need to wait for the release of galaxy note 9 tomorrow. This is very well made and so soft, The phone case/wallet is light and very accessible. Total of 10 card holders zipper pouch for coins. I couldn’t have asked for a better phone case/wallet combination! I was worried that the quality would be questionable due to the low price, but it is very well made and more than worth the cost! This case is also very classy looking! 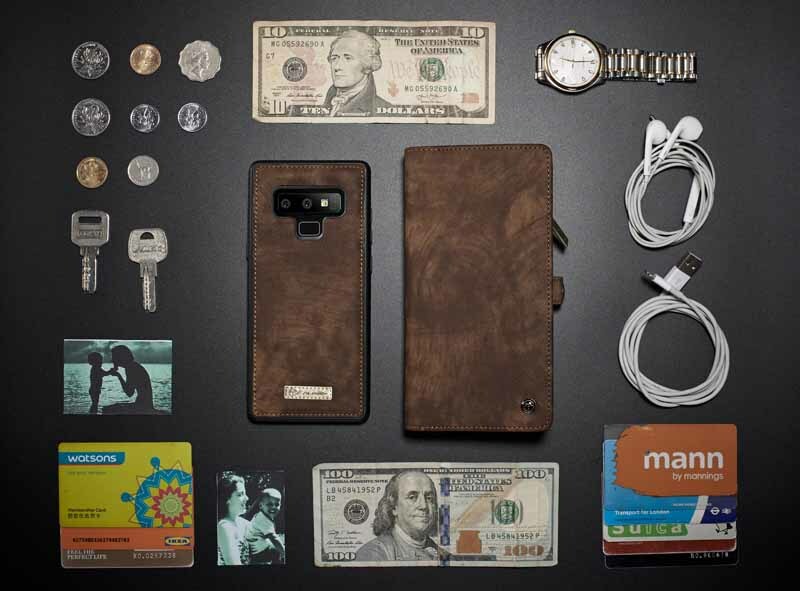 My favorite feature of this particular case is the magnetic phone case that can be removed from the wallet, but stays put once placed back in the case. 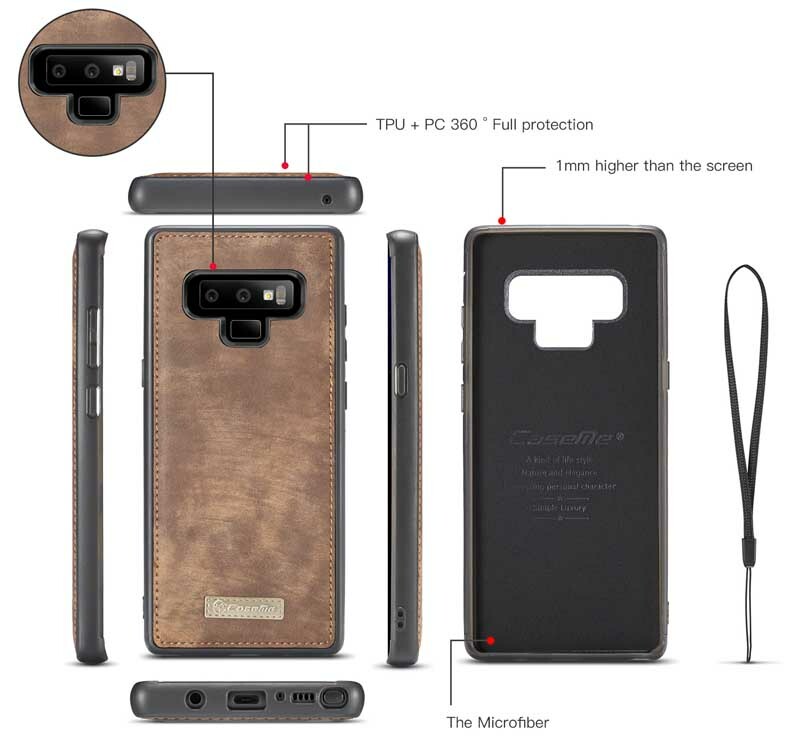 If you have recently purchased a Samsung Galaxy Note 9, I would highly recommend this case as it offers excellent device protection at a reasonable price! I really like this case, especially the edging that covers the entire perimeter of the phone. 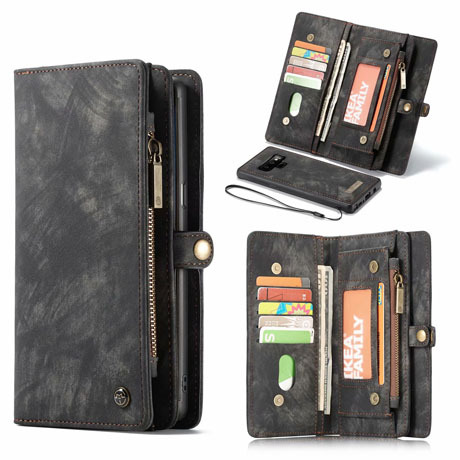 The zipper zips and the closure will close even with a card in each slot. The only thing to adjust to, is that the magnetic closure strap comes from the left side rather than the right. The magnet holds the phone very well, my kids figured out you need to shake it REALLY hard for it to fall off. Stylish and sleek, neither of which I am. Best combo of case and wallet.